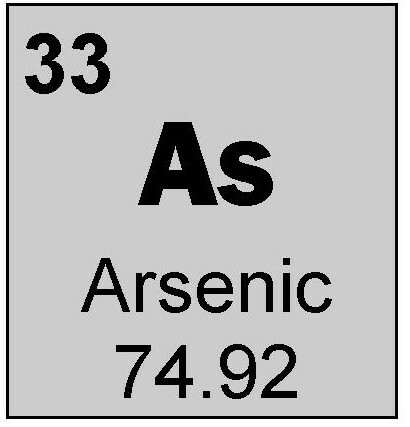 The Phase of arsenic at room temperature is solid. 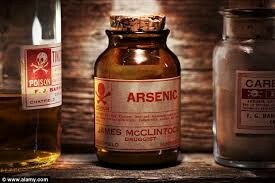 Some Special characteristics of arsenic are, Highly toxic, can kill humans in less than 42 hours and people can show signs of contact with arsenic in less than 30 minutes. 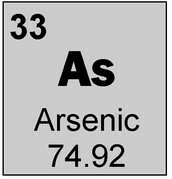 Possible aliases, arsenate, arsenic pentoxide, arsenic trioxide. Place Of Birth, First found in mines in China in 1,250 A.D. Description, is a crystal metalloid that is usually steel grey and very brittle, other colours arsenic rock is found in are yellow and black. Known hide out locations, Found in natural environment in some abundance in the earth's crust and in small quantities in rock, soil, water and air. Large quantities mined from under ground mines in Asia. Used as a poison by spy agency's because it is untraceable. Is band from all uses. 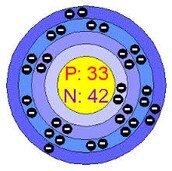 Known accomplices, halogens fluorine, chlorine, bromine, iodine.